Dubai: Budget airlines are increasingly adding longer flights to their networks as they seek new destinations beyond the traditional, short-haul markets. 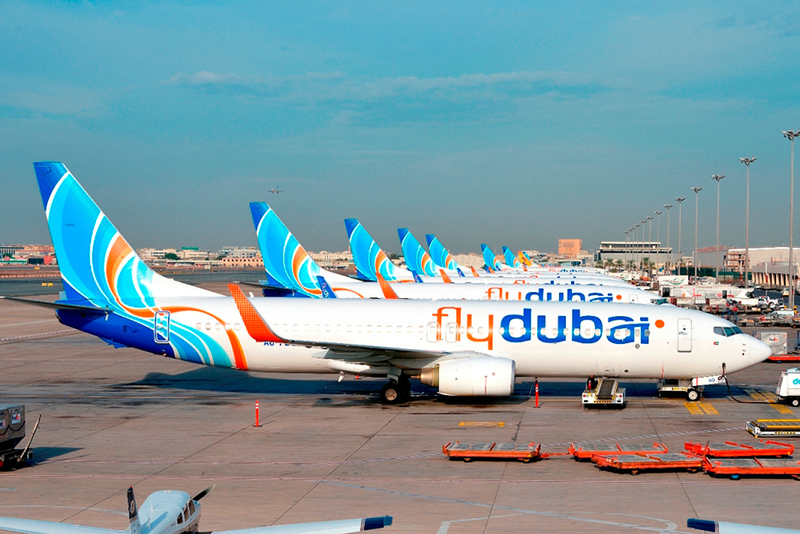 This month, flydubai announced plans to fly to Thailand’s capital, Bangkok, from November. It will be one of the few destinations it serves that are six hours or more away from its Dubai hub. The route also marks a growing trend among low cost airlines (LCCs) operating narrow-body aircraft to medium and long haul destinations. Technological and design improvements have improved aircraft range over the years. The Boeing 737 Next-Generation, the current model of the popular selling single-aisle jet used by flydubai, can fly 5,500 kilometres, more than 1,500 kilometres more than the previous version. Since 2012, single-aisle low cost airline flights more than 2,600 kilometres — or three and a half hours — have increased by about a third faster than those under 2,600 kilometres, according to Will Horton, senior analyst at CAPA — Centre for Centre. And whilst the majority of low cost narrow-body aircraft flights today are under 2,600, “there is change”, Horton said. Air Arabia, who operate the Airbus A320 single aisle jet, launched flights from Sharjah to Urumqi in western China in 2015. That flight takes a little more than five hours. Europe’s Wizz Air flies almost six hours from Budapest in Hungary to Dubai and in the US Virgin America is flying over six hours from Boston to San Francisco. Wizz Air and Virgin America also use the A320 jet. “There is no rule that LCCs need to be short-haul only in operations, and if there is adequate traffic for a non-stop, rather than connecting flights, that offering a non-stop can be quite profitable as well as more convenient for a budget passenger,” Arvai said. Longer flights within reach of Boeing’s 737 and Airbus A320 allow low cost airlines to expand as they face restrictions in the markets they had initially focused on. Flydubai started operations in 2009 focusing on flights in the Middle East, where instability can easily impact travel demand, South Asia, where traffic rights are often exhausted, and the former Soviet republics where recent economic pressures have softened demand. “As LCCs mature, they may feel more confident about longer flights and ability to attract passengers for those sectors,” Horton said. The overall low cost market is to grow faster than other airline models over the next 20 years. In its latest market outlook, Boeing estimates budget carriers will grow from 27 per cent of the market today to 33 per cent by 2035. Boeing’s new 737 version, known as the “MAX”, is to enter into service in 2017 and Airbus’ new A320 “neo” (new engine option) started flights this year. Both aircraft are more efficient and can fly longer than their previous models, meaning more, longer routes will be possible with the narrow-body jets. Traditionally, longer flights has been left to the full-service carriers with the business case for budget airlines seen making more sense on short haul routes. But LCCs are increasingly finding potential for longer journey’s. “The lower seat capacity and operating cost compared to typical wide body capacity both reduces risk and cost in opening up new services,” John Strickland, aviation expert and director of the London-based JLS Consulting. However, lower overheads are stretched on longer flights, meaning the cost savings are not as substantially as they are on short flights. Also, ancillary revenue gained through checked luggage, seat allocation, meals and other in-flight purchase do not necessarily increase on longer flights. “A passenger who buys a meal on a two-hour flight is unlikely to buy three meals on a six-hour flight. Nor are baggage charges tripled for a six-hour flight compared to a two hour flight,” Horton said. LCCS are losing using larger, wide-body aircraft on long-haul routes. Australia’s Jetstar, a subsidiary of Qantas, has found success flying wide-body aircraft on flights in Asia as has Singapore Airlines low cost unit Scoot who uses Boeing 787’s on medium and long haul flights. The success of budget carriers on longer flights? Passengers “on a budget who are willing to put up with cramped seating for several hours can find very low fares,” Arvai said. Budget airlines can also generate new markets within destinations already services by full-service carriers. In flydubai’s case it will start two daily flights to Bangkok on November 29 against Emirates’ six daily services, including four Airbus A380 flights, and a daily Thai Airways flight. But flydubai will be looking for a more cost-conscious customer compared that those fly with Emirates, who sees itself as one of the world’s most premium airlines. Flydubai’s return starting fare was Dh1,011 ($275) cheaper than the cheapest seat equivalent seat on an Emirates return flight between November 29 and December 6.